← gearing up for winter! so, you see, this is supposed to be a hat for me. it is supposed to be the lattice hat from rheatheylia. things were going swimmingly, or so i thought, until the end of round 8 when i thought hmm, this doesn’t seem right…and i only had about 30 stitches instead of the 72 i should have had. i was a bit confused when reading the pattern but thought i had been doing things correctly…obviously not. 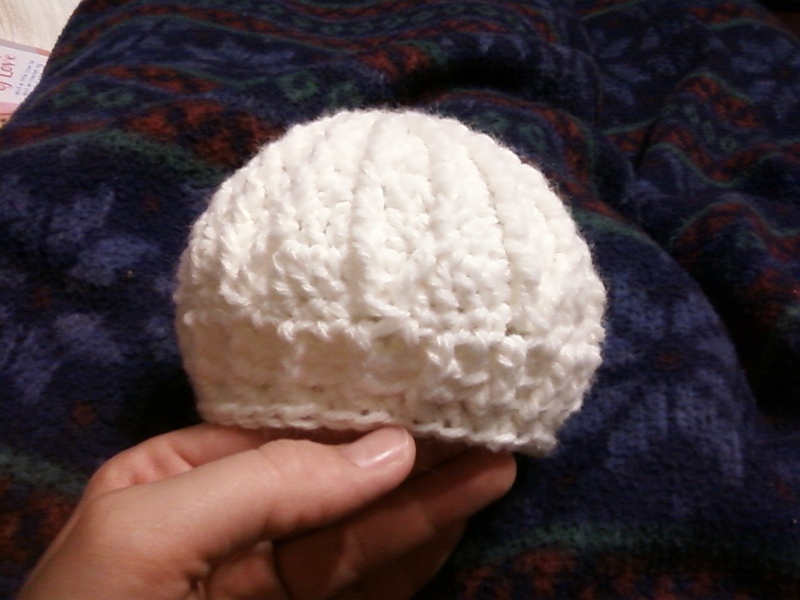 at that point, i was too lazy to frog it and start over…so i decided it would made a lovely baby hat. i did one row of the lattice pattern, and then did the final three rows. this hat will be on its way to our friends in cleveland, dan and vivian, who have a 6 week old beautiful girl named isabella! 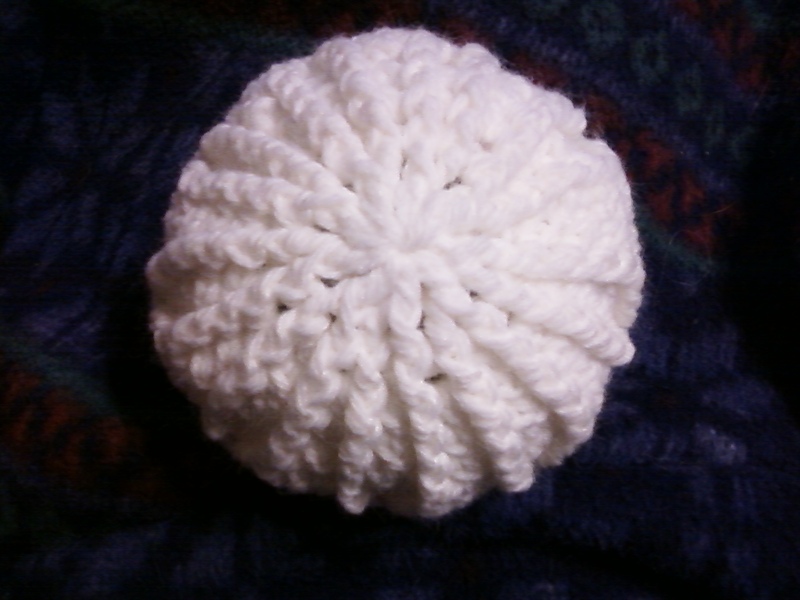 This entry was posted in Crochet and tagged baby, bpdc, crochet, fpdc, hat, lattice stitch. Bookmark the permalink.